These beautiful, Australian Made Book Marks make remembering the page you are up to in your book or magazine a sheer delight. These Australian Book Marks are great for book lovers around the world. These Book Marks are not just beautiful Book Marks, they are also made from soy inks and certified sustainable forests, they are made in Australia and they help Koalas too! Who would have thought a Book Mark could be so much! Corroboree Frog – This is a small and spectacularly coloured frog found in restricted areas of bogs in the Australian Alps of Victoria and New South Wales. They are among Australia’s most iconic frog species. 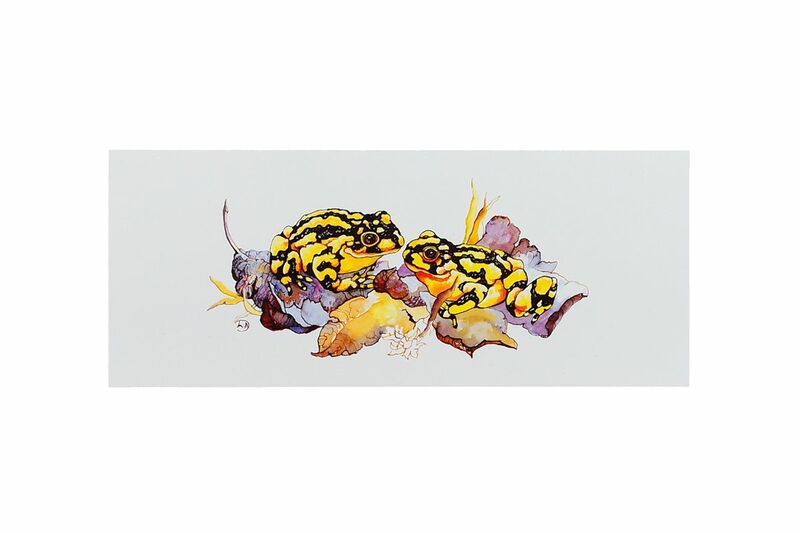 There are 2 species of the Corroboree Frog; both species are between 2.5 and 3 centimetres long.